I grieve when I fail the Lord, when my obedience lacks its first response. But then I remember it was for failures that Christ graced a rough-hewn manger. It was for failures that He breathed His last earthly breath as He hung in disgrace for the failings of the world. It was to a failure, one who penned the precious psalms that touch our hearts in time of need and, yet, as a man after God’s own heart, sinned and ripped apart his fellowship with the Lord, then repented and repaired it. It was to a failure, one who had denied Christ three times, that the command of “feed My sheep” was given. It was to a failure that Jesus gave His first greeting in the Garden of Gethsemane on that initial Easter morn. It was to a failure who had been the foremost despiser of believers yet became one of the greatest servants of the Gospel, the Lord blessing his ministry and his writings for all time. I think, no, I know, my greatest failure is to not give the Christ-child a place to live in my heart, in my circumstances, in all my life. As Mary lovingly swaddled the future Sacrifice of the world, she placed Him in a trough, and there, the miracle of the manger took place: the empty manger, the vessel cradling the tiny body of mankind’s salvation, became full – full of love, full of expectation, full of holiness, and full of humanity. With only the joyous display of heavenly praises from angels, He came, confined by the boundaries of time and limitations of a physical body. …for failures, He came. For me, He came. For you, He came. But where does He go to be born and live today? In the hearts of believers. “How silently, how silently the wondrous Gift is given! 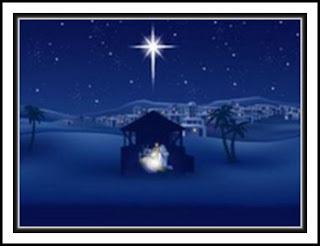 Have you offered the manger of your heart to cradle the birth of the Babe of salvation? Or are you as the innkeeper, turning away the Saviour of the world, telling Him that you have no room for Him, that your “inn” is full? Do you then miss the miracle of the manger? God still seeks His mangers…hearts willing to hold Him. What an encouragement to a fellow failure. I too struggle with my failures. Thank you so much for reminding me that Jesus came to this earth for MY failures! I pray for His grace to absorb my failures. I always forget that His imagination surpasses mine. My plan B always becomes His plan A. He fixes my mistakes and arranges the complex details of life and makes everything new again! A beautiful reminder that we ladies need to leave Christian guilt behind for the things we don’t do! As we hurry along trying to take care of our families, all the while stumbling to follow in the Master’s footsteps, it’s easy to forget that we are human and must fail. But, Jesus has His hand waiting to help us up again. We are trying. He knows us, and He is hoping none of us will give up. precious post Lynn, thank you!! Thank you for visiting my blog, my Twitter friend! I’m so grateful that the Lord has my failures–heaven knows I don’t want them! I like your analogy very much; yes, my heart is indeed a manger for Jesus.